Good thing the school bags are light during exams, because the load of stress is most certainly heavy enough. The much dreaded season of national exam trials has just passed us. This of course includes our very own SPM (Sijil Pelajaran Malaysia) Trials - a huge deal to all fifth-year secondary school students. Along with the examinations of course comes a near bipolar stress level and numerous, numerous cups of coffee. This is just the first wave of the typical and mind-boggling subjects Biology, Chemistry, and Sejarah to take its toll on all Form 5 students. Other than that, who could ever forget the famous phrase, “Don’t forget kids, practice makes perfect,” by the teachers? Nobody, because this quote has been mentioned repeatedly over and over again by all Mathematics and Additional Mathematics teachers. These two subjects never fail to plant a bittersweet conceptualisation in the student’s mind, predominantly Additional Mathematics. Well, does the sound of the subjects mentioned above scare you already? If it does, there is no doubt that it casts the same effect on most of the Form 5 students but as they do year after year, they managed to suppress their fear and learn to just go for it. However, they never said it was a piece of cake. 1. How does it feel like sitting for SPM Trials? The answer is pretty obvious don’t you think? Its stressful. However, a great deal of them agree that they feel a profusion of pressure during the first week, when the examination just started. Once the second week comes by, they couldn’t really be bothered much. In my theory, I deduced my conclusions and could only come up with two, which is either immunity or Demi Lovato’s latest hit, really don’t care. Nonetheless, every cloud has a silver lining. 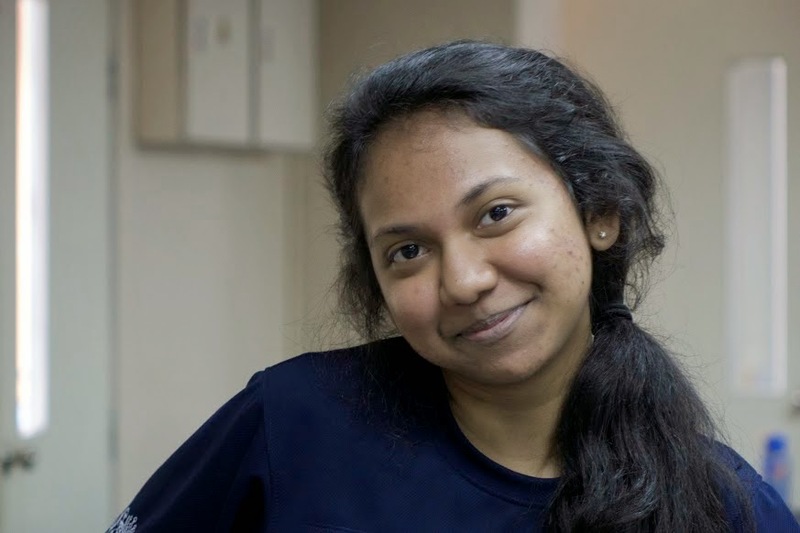 Amirah Farhanah refers to this anxiety as an inspiration to push and study harder and Mithali actually studied two months in advance! Now thats something you don’t hear everyday. Kudos to both of them! 2. Do you think you’re prepared for SPM Trials? Most of the feedback we got was "no, not at all". Why you may ask? Various reasons were given to support their response, ranging from “I concentrate too much on certain subjects,” to “I just procrastinate all day” or straight up, “There just wasn’t enough time”. However, some students did admit that it all comes down to what subjects they were taking. 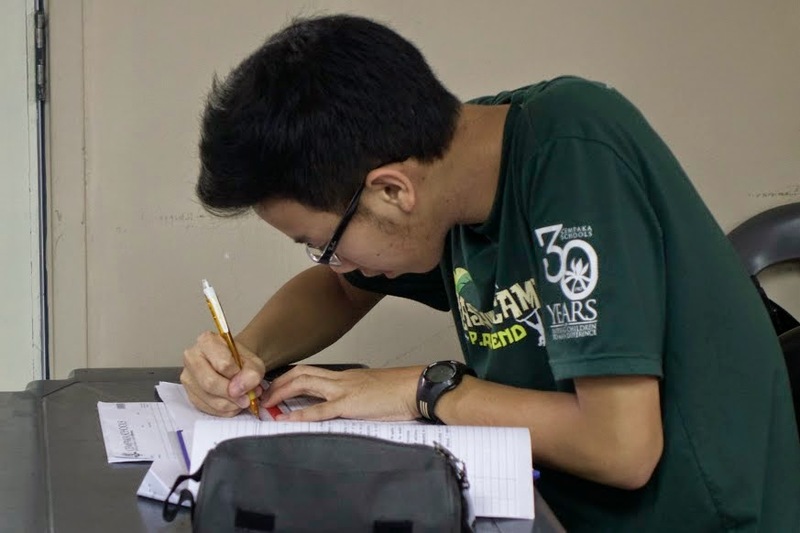 This leaves the usual, Additional Mathematics, Sejarah and all three Sciences on the line as students either concentrate mainly on these subjects or barely at all. However, Mithali scores yet again! She claimed that she was quite prepared for SPM Trials except for Sejarah as two textbooks of this subject is just too strenuous. Well that doesn't matter because Sejarah is just one out of the many subjects. Bravo! 3. How do you prepare for SPM Trials? 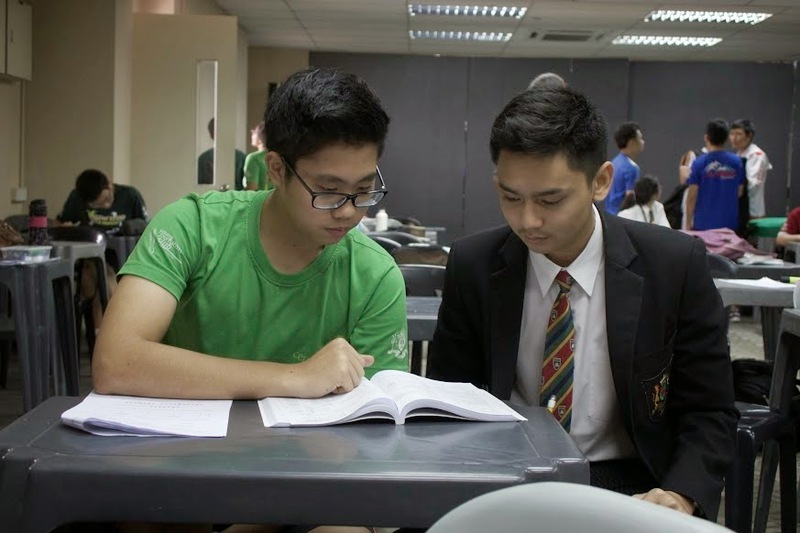 Its simple, do countless amount of Past Year SPM Questions, or, if you want the traditional and classic technique, just open your book and study. Nothing beats a warm cup of tea or in this case, coffee, and a huge, thick, fact-filled book to enjoy with it right? However, burning the midnight oil is never the answer when sitting for SPM Trials. According to the experienced Form 5 students, study at least 2 months before and while you still can, seize every opportunity to pay your fullest attention in class. Oh and of course, “Keep practising Additional Mathematics,” Amirah advised. This proves that our Mathematics teachers never lie. 4. What do you think about when you’re sitting in the exam hall apart from knowledge? There were so many answers to this question but “When is this paper going to end?” wins it all. 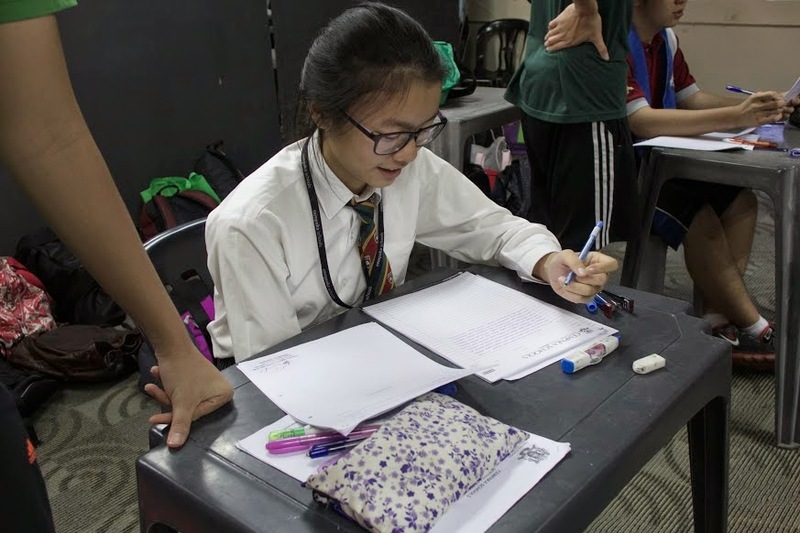 Other than that, we can’t deny the fact that the Form 5 students self-forced themselves to stay up late just to absorb all the information from their textbooks, so you can agree that sleep would be out of the picture. Therefore, the runner-up for this enquiry would be “I really want to sleep now, but I can’t”. In spite of that, some students found distractions over-shadowing their trail of thoughts. This includes the classical music that everyone had grown used to, vocal practices and many more. Amirah tends to think out of the ordinary yet again. She ponders, “What if I fail? How am I going to explain my failure to mum and dad?” This mental picture is definitely another departure from the norm. Which quote turned out to be your favourite? 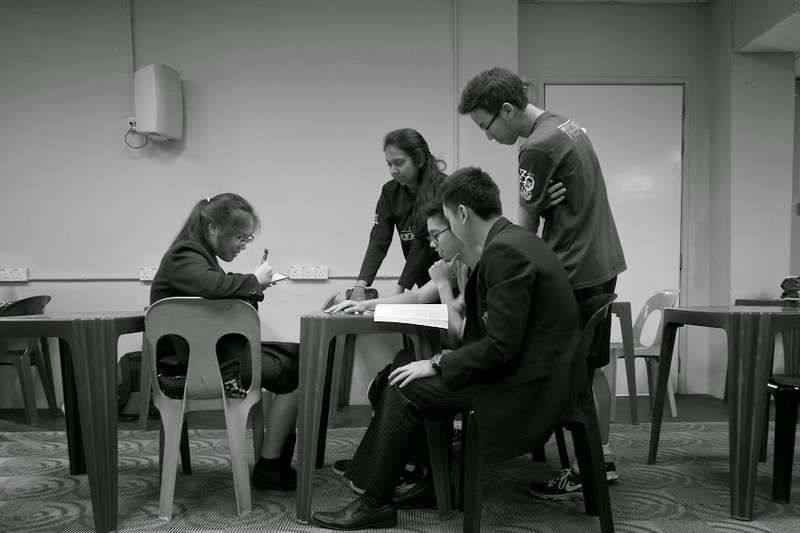 That was all the questions we had for our amazing seniors who are taking SPM Trials this year. Before I end this article, I would just like to give a quick shoutout to the Form 5 students who generously took their precious time off studying to answer these questions. Best of luck for your papers! Ray bans aviators black when you have finished, give the Dell Inspiron 8200 keyboard a wipe over with the dry cloth/duster, you should now have a nice clean Dell laptop keyboard. Yes, we know there are many types of Dell Inspiron 8200 keyboard, ray bans aviators black but no matter how many bells and whistles they offer, most Dell laptop keyboards operate using similar technology. They use switches and ray bans aviators black circuits to translate a person keystrokes into a signal a computer can understand. But as you'd gnash tuna sandwiches with your mouth agape and tell me your ideas for cutting someone apart, my blood ran icy. I would only stare back blankly and think ray bans aviators black of how alone in ray bans aviators black this world we really were. It was just the two of us, but you managed to make me feel crowded anyways. A weak smile is what ray bans aviators black Peyton receives for her jest about the courier needing a bodyguard. Delia's certainly had her run ins with trouble, of course it's no fault of her own. "Maybe my dad'll want this to check out all my sister's boyfriends, heheh" The redhead's little chuckle doesn't do much to dissuade any listeners from the fact that her father might actually do background checks on her sister's love interests.